The multiple, slightly offset paths appear to the eye as flickers. When watching in person, I never quite know whether it is my head moving, my eyes darting, or an actual difference in the path that the bolt of electricity is taking. This shows that it is a real thing. 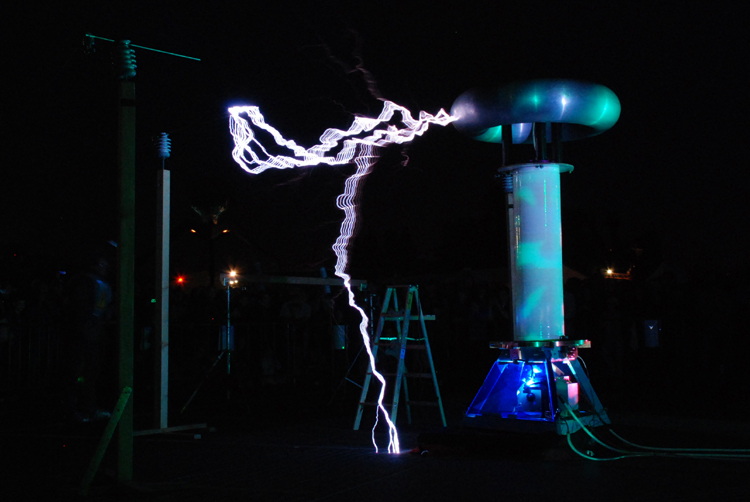 And then the Tesla coil broke. They tried to fix it for a little while but then gave up and never finished their story.